"When are the words thank you adequate to express how we truly feel? 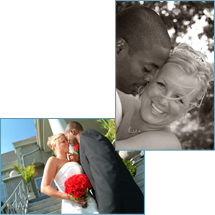 We are so excited about the beautiful pictures you took of our family on our special day. You are wonderful." "I want to thank you for your attentiveness to everything in the photographic area of Julia and Ryan's wedding last weekend. I also appreciate your patience in dealing with so many people and family members. I was only able to catch a glimpse of the pictures on your computer but I was quite impressed with what I saw, as were the guests who made mention of them to me. I can hardly wait to see the web site this coming week." "Wow they are absolutely fabulous!!!! What a great job! You guys are great!" "I love love my album. The few people I've shown it to so far say it is just extraordinary. I'm so proud Thank you again." 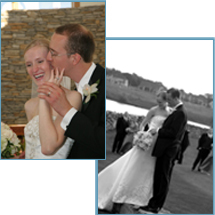 "I took a swift look at our wedding pictures on the web. They were GREAT! I love it! I don't think that Yan had a chance to see it yet, but I love them! Thanks so much for the wonderful work. Now it will be hard for us to decide which one is in the album and which one isn't." "Hi Penny, Deli and I are back from Italy and settling into married life. It is wonderful!. 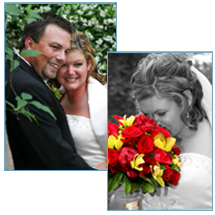 I had so many people tell me they saw the pictures from our wedding on your web site and loved them! You did an awesome job." "I cannot thank you enough for the gorgeous pictures you took at our wedding. While I never doubted you talents, I certainly was anxious about being incredibly un photogenic - I've never seen such flattering pictures of either Pat or myself. What I am happiest with is that your pictures reflect not only how we looked, but how we felt." Content of this site copyright © 1999-2007 Adler House Photography.